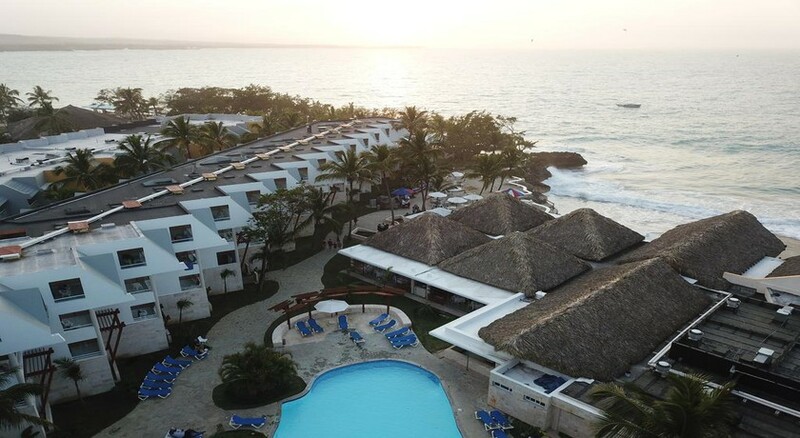 From Gregorio Luperï¿½n airport take a left into Sosï¿½a street and follow the signs for the hotel, then take a left into El Batey. The hotel is located on the left-hand side. 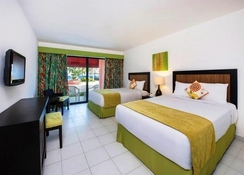 Right beside a sandy beach and an easy stroll from the centre of Sosua, this hotel leaves nothing to chance when it comes to keeping all the family happy. 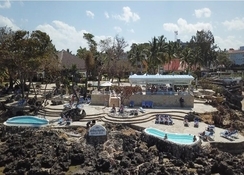 There are daytime activities and evening entertainment with various age groups in mind, and there’s plenty of space too for those who prefer a spot of undisturbed sun worship. 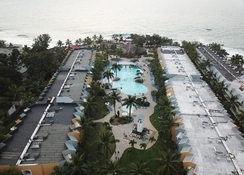 This 3-storey hotel comprises a total of 378 rooms and, together with its sister hotel, forms part of a larger holiday complex in which guests are offered every imaginable amenity including a foyer with a 24-hour reception desk, boutiques, a souvenir shop, a hairdresser's salon, several bars, a nightclub, several air-conditioned restaurants (buffet restaurant, Italian and Mexican specialities), as well as a grill restaurant offering fish specialities, both of which offer highchairs for infants. There are room and laundry services and, for younger guests, a kids' club and a playground where they may let off steam. Those arriving by car may make use of the car park and garage facilities. 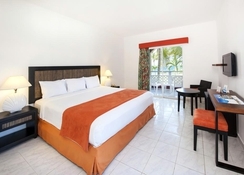 Casa Marina Reef’s rooms are bright and roomy, and offer pretty views across the sea, gardens or of the pool from a private balcony. 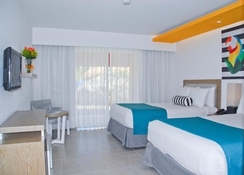 Each room comes with air conditioning, cable TV, a telephone, safe and a private bathroom. Certain amenities may be payable locally.Check-in from 3 pm; check-out by 1 pm. A credit card is necessary on arrival. You can choose from five restaurants in the resort, which range from the Italian a la carte Luiggi, to the international buffet at El Batey. Other cuisines include Mexican and seafood. There are nine bars found on site, which include a disco and a bar with pretty views across the ocean. MEALS: Breakfast, lunch, afternoon tea and dinner. DRINKS: Unlimited domestic drinks including wine with dinner. 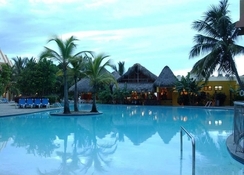 Daily activities including a scuba diving lesson, volleyball, bicycles, ping-pong, football, aerobics, shuffleboard, boccia, billiards and table games. Non-motorised water sports including kayaking, boogie boarding and snorkelling. Motorised water sports such a banana boats, scuba-diving excursions and deep-sea fishing.